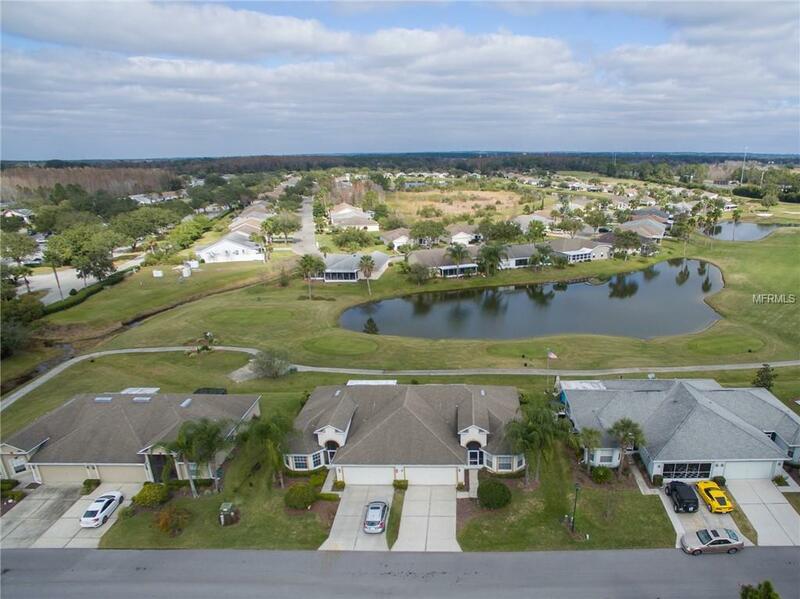 Gorgeous, FULLY FURNISHED, maintenance free, move in ready villa in beautiful TBG&CC! Look out your double front doors and see beautiful a conservation area, look out your sliders and look upon the beautiful golf course with breath taking pond views. Wide open 1,538 S.F. with open floor plan, close to the dog park and clubhouse, all on a dead end road. 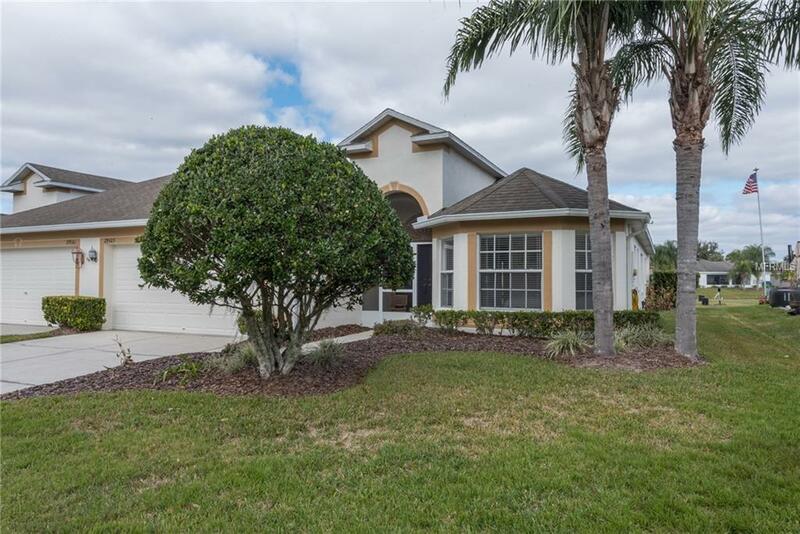 Very well maintained 2004 home features two bedrooms, two baths a den and huge Florida room! Washer & dryer room, large two car garage and so much more. 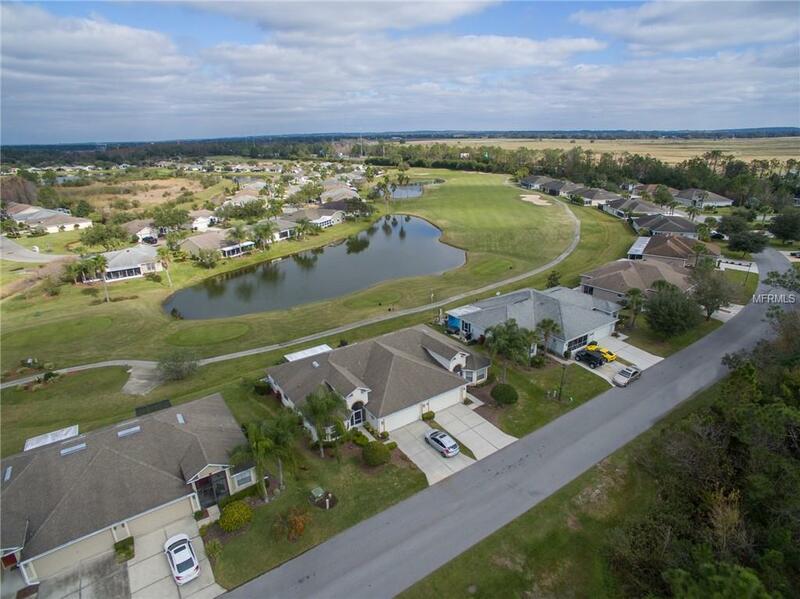 Tampa Bay Golf & Country Club is Tampa Bay's premier ACTIVE 55+ community conveniently located close to I-75 but remote enough to enjoy looking at the cows, horses and farms that surround the community. 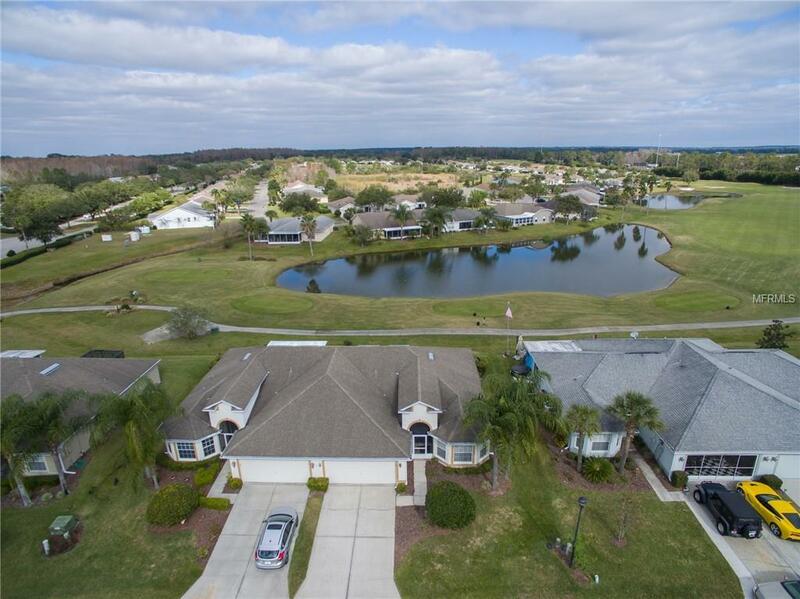 Our community has no CDD, two swimming pools (the resort pool is heated w/fountains), newly expanded Pickle Ball courts, tennis, shuffleboards, billiards, cards,huge banquet facility, pub, pro shop, dog parks and a fitness center. The Welcome Center is being rebuilt this year and our fitness center is moving there and quadrupling in size! Living here is like being on a permanent vacation with more daily activities than anyone could handle. Measurements are approximate. Additional Lease Restrictions Lease Must Be For A Minimum Of 90 Days. Amenities Additional Fees One Time $2500 Social Membership Initiation Fee Due At Close. Pet Restrictions No Aggressive Breeds No Pit Bull Terriers. Owners Must Clean Up After Pets.